Take a look at these two ad campaigns. They’re both run on Facebook, but they’ve literally taken on very different forms. That’s because one is a Story ad, which is a mobile-first format, while the other is a newsfeed post. In addition to major structural changes for the ad– including the option for significantly more text in one, for example– the visual components are completely different sizes. This is an extreme example and it’s why until recently you could only create ads that were exclusively Story placements or all placements but Stories. That being said, you’re going to see huge changes in the size and shape of the visual component of the ad– either image, video, or both– depending on the exact type of ad format you use and how users are seeing it. Changes can even happen when a user is viewing the ad on mobile instead of desktop, reshaping the ad, like in the clear example below where only half of the available space is used. 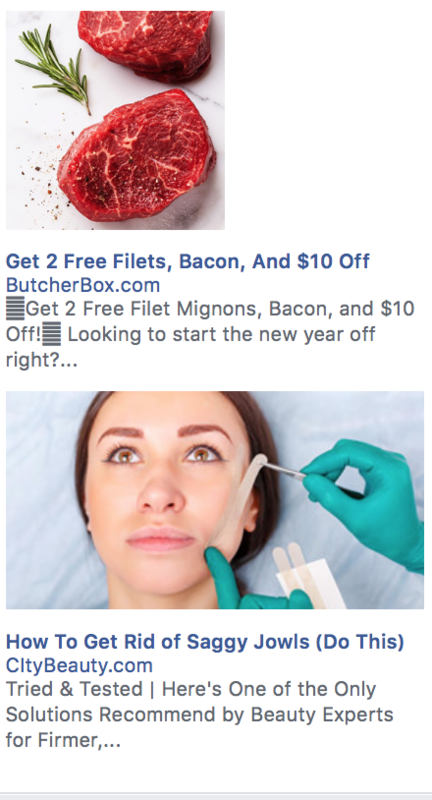 If you aren’t prepared for this (and if your ad isn’t prepared for this), then you run the risk of having your ad’s image cropped awkwardly or not display correctly. 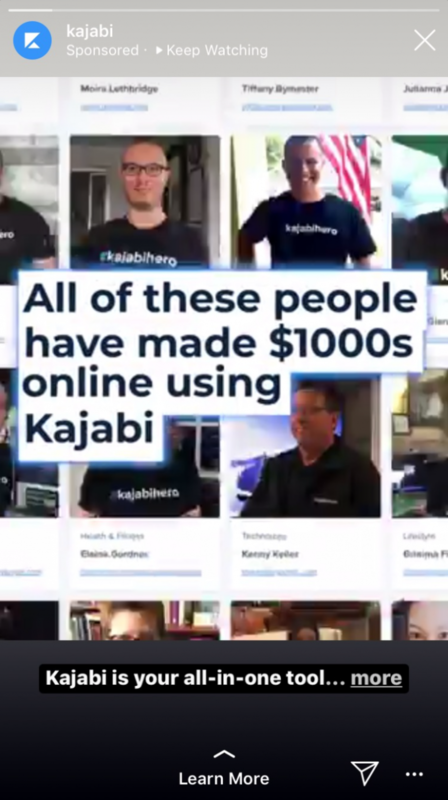 This can absolutely lose you clicks and conversions, and while that’s painful enough as a missed opportunity, you could be paying for them financially if you’re bidding on impressions. There’s a lot at stake here, so let’s take a look at what you need to know. 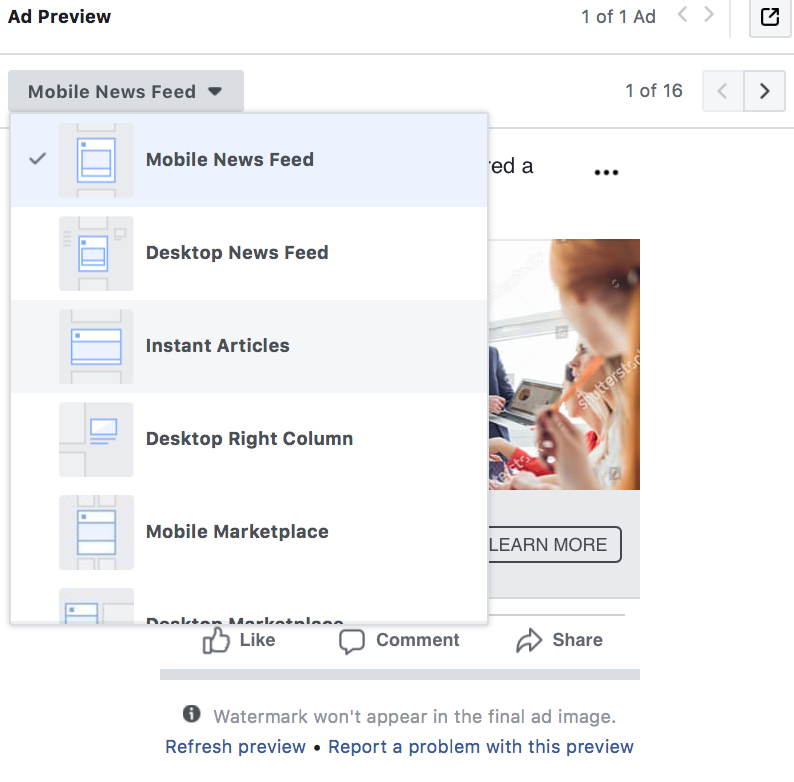 Even as a user, you’re likely familiar with the large number of ad formats available for Facebook Advertisers, with everything from Story Ads to right column ads to carousel ads. We’re going to show you the ideal Facebook ad size for each ad format so that you can ensure a perfect display each time. Recommended file type for images are JPG or PNG. Recommended file types of videos are .MOV and .MP4. While file types are consistent, maximum file sizes do change for each ad type. Images with more than 20% text on the image itself (not the ad) will be penalized, potentially with fewer placements, higher CPCs, or failed delivery all together. These are your typical, run-of-the-mill feed thats that you’re likely most familiar with. They’ll contain a single image and the emphasis will be in the text. You’ll notice that these images can be square in shape, but that the recommended image dimensions prefer the longer, leaner ads. I’ve personally seen best results on campaigns that utilize the recommended image dimensions. Recommended dimensions of 1200 x 628 pixel. Minimum of 600 pixels for width and height. The recommended aspect ratio is between 9:16 to 16:9, giving you a variety of ad images and shapes. If you include a link, it crops to 1.91:1, however, so make sure that this won’t affect your ad’s initial performance. Carousel Ads are a goldmine when used well, with higher-than-average CTRs and conversion rates. You can add a minimum of 2 scrollable cards to your campaign and a maximum of 10, and you can have some video and some images or only choose to use one or the other. We actually wrote a blog post on the most effective ways to use Facebook carousel ads! The recommended ratio is 1:1, giving you the perfect square. All other sizes will be cropped, so avoid this. Max image size (per image) of 30MB. Recommended resolution is 1080 x 1080, minimum. Video length is 240 minutes, though it’s best to keep it at 15 seconds or less for carousel ads. 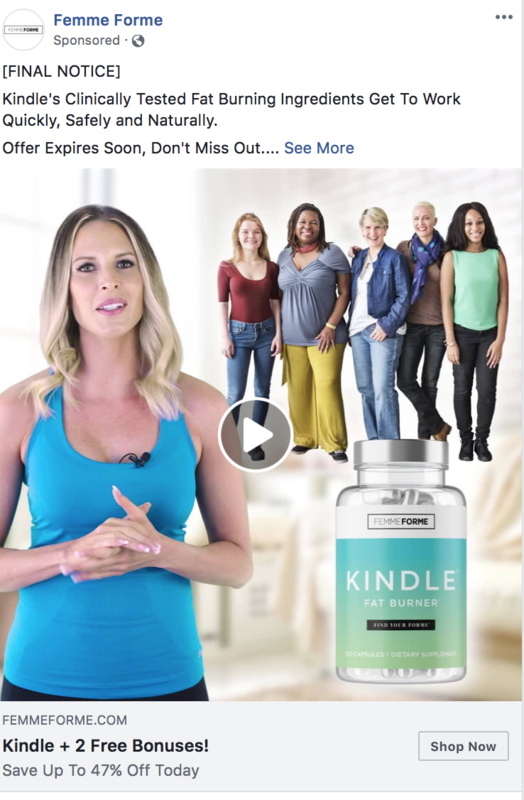 Facebook’s video ads are highly effective, and you’ll notice when scrolling through your feed the there are a ton of them showing up as a result. For this ad type, we’re looking specifically at in-feed and video-stream ad formats; we’ll look at Stories separately later on. Always upload the highest resolution possible for your videos, as long as it fits the file size. Recommended aspect ratio is 16:9 (ratios fall between 9:16 to 16:9). Note that some videos can be cropped, so watch this carefully. The maximum video file size is 4GB. Video length can be up to 240 minutes for in-feed videos. The length for in-stream video ads is 5-15 seconds. Note that it’s best to include videos with closed captions, as 85% of autoplay videos (including ads) are watched without sound. 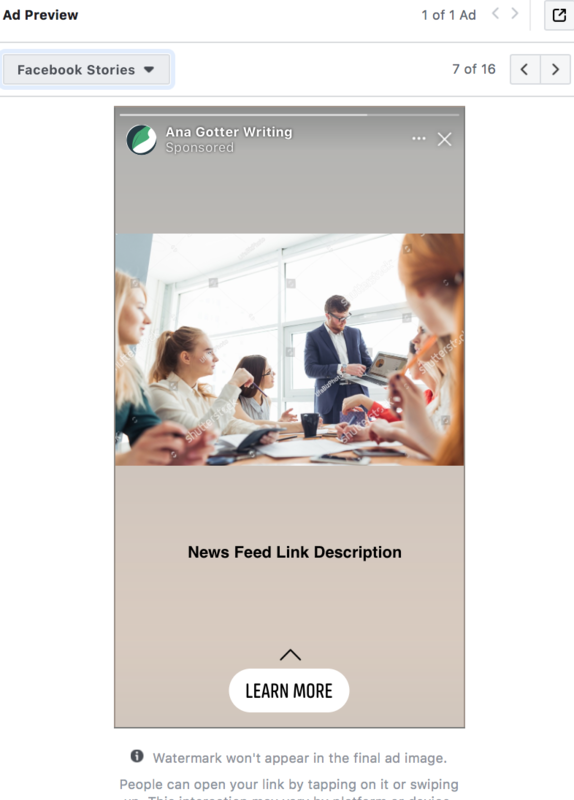 Stories Ads are available for both Instagram and Facebook, and they’re a full-screen experience. Most brands are relying on videos because they’re more effective given that there’s no room for a lot of text, and choosing the right CTA will go a long way, too. Images will appear for 5 seconds, and your video ad can be up to 15 seconds. Leave about 14% (or 250 pixels) at the top and bottom of the image free from any important information, like logos, text, or key image elements. They can be cut off by the profile icon, CTA, or other action buttons users have. The ideal image ratio is 9:16 (same as Instagram stories). The aspect ratio tolerance is only 1%, so you need a video that fits the formatting. 500 pixels is the lowest minimum width allowed. The maximum image ratio is 9:16. 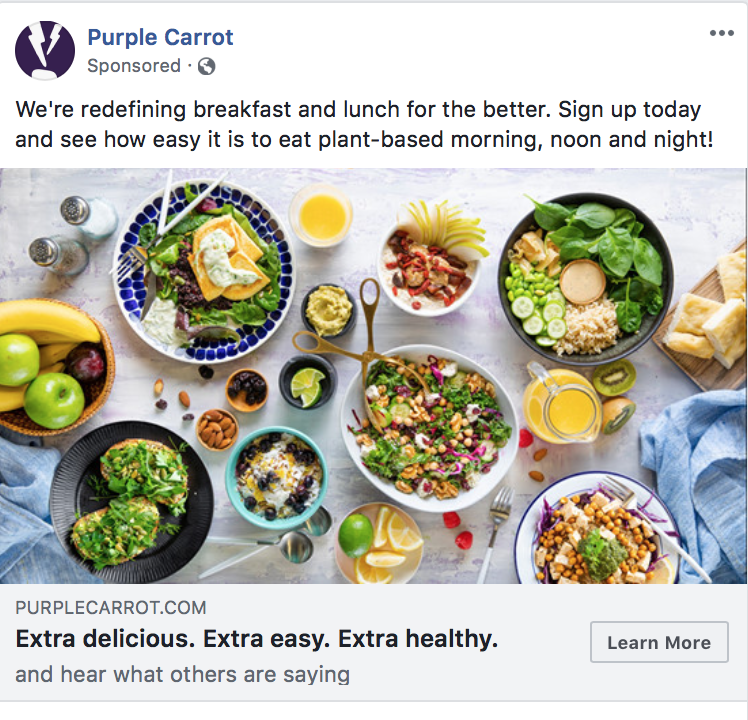 Right column ads are basically the OG of Facebook Ads, and now they still have great potential to drive results at low cost, but you need to keep their formatting in mind. 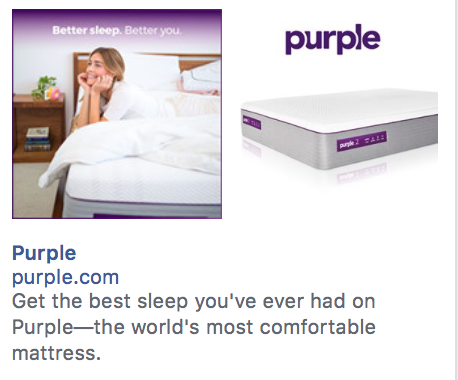 Unlike other placements, these ads can look odd when they aren’t using the full dimensions available, especially when stacked near another. Some brands will place two square images next to each other, which is another good way to use the space instead of one full image. The recommended image dimensions is 1200 x 628 pixels. There is a minimum width and height of 600 pixels. Recommended aspect ratio is between 16:9. This is an image-only placement. 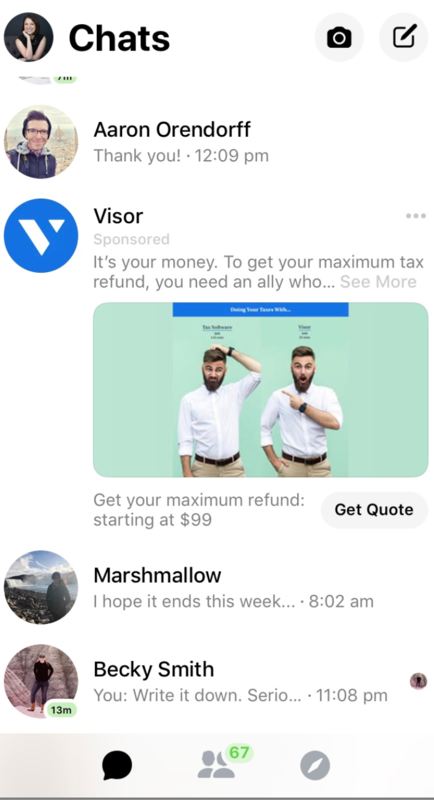 Facebook Messenger Ads appear in the Messenger app, capturing users where they’re most likely to be actively engaged and typically making them look at the ad a little longer. This format is only available for images, not videos, and they’ll only appear within the mobile app (not desktop). The recommended resolution is 1,200 x 628 pixels, keeping it consistent with feed posts. The minimum width is 254 pixels and the minimum height of 133 pixels, but going for the larger pixel size will increase the quality of your image. Recommended aspect ratio is between 9:16 to 16:9, but it will be cropped to 1.9:1..
Facebook Instant Experiences are mobile-only, click-to-open full screen experiences. Users will see a CTA encouraging them to click, and when they do, their whole mobile screen will be filled with products, scrollable canvases, and more. They’re engaging, they’re dynamic, and you can use them to send users to a large number of different links. Each individual slide or product image will have its own image requirements, because Instant Experiences and Collection Ads are both made of up slides or different image components. The recommended ratios are 1:1 for square images and 16:9 for landscape images. The minimum width and height is 600 pixels. There’s a maximum file size of 30MB. The minimum recommended resolution is 1200 x 628 pixels, same as the images. You can upload videos of up to 120 minutes long, but it’s best to keep them under a minute or less. Canvas ads can use full-screen videos to keep users engaged. When you’re creating your ads, you’ll notice that you have the ability to preview how they’ll look in different placements on both mobile and desktop. Use this to your advantage. Make sure that your ad looks exceptional everywhere that you’re running it, or else you’re taking a big risk and could lose your shot at some big conversions. It only takes a minute, and better safe than sorry. And if needed, you can easily resize an image that you’ve created or create multiple size options of it with Snappa. You can learn more about our drag-and-drop design software here. 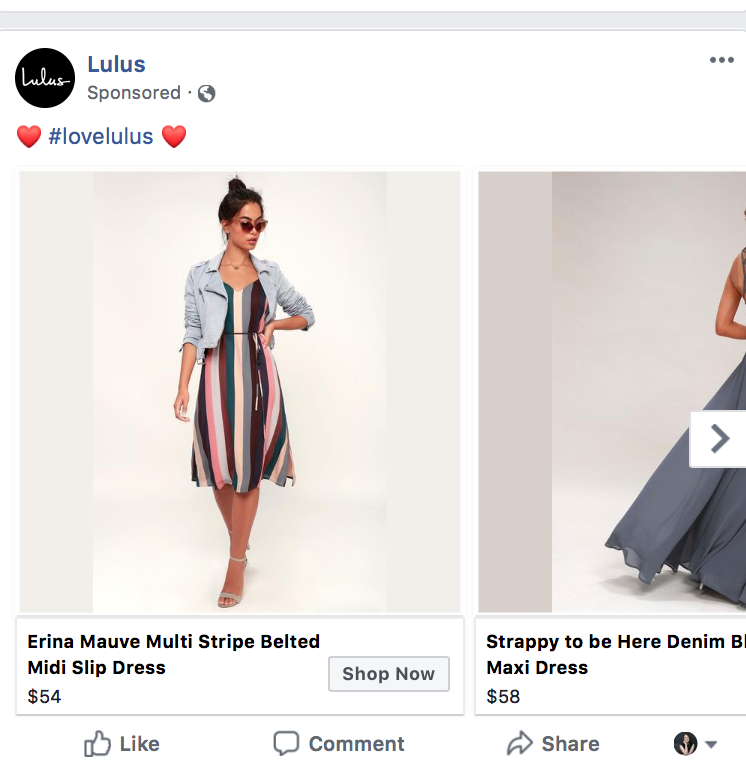 There’s so much at stake when it comes to Facebook Ads, and you don’t want to leave money on the table just because of something as simple as an incorrectly sized or awkwardly cropped ad. You’ve invested time, money, and effort into these campaigns, so take a little more time to make sure each is well-optimized for the viewers who will be seeing it. This could be the difference between wasted ad spend and a new lifetime customer, so it’s worth it. Need some help creating images for your Facebook Ad campaigns? We can help. Start your free trial with Snappa today to create beautiful, high-converting graphics that are sure to help you get the click and the sale. What do you think? 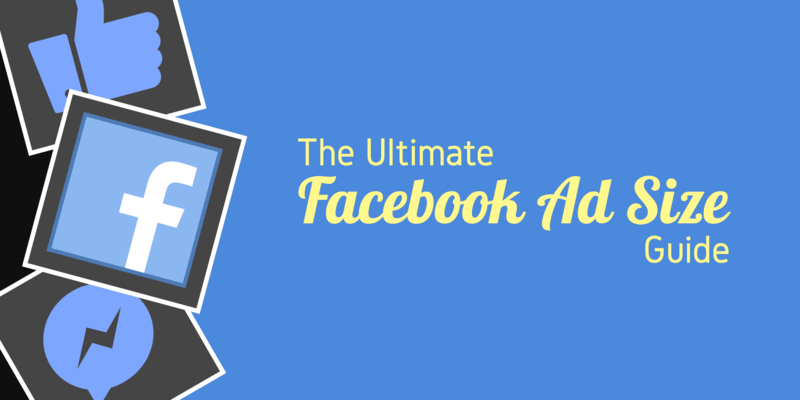 How do you ensure that your Facebook Ad size is right on target for each ad format? Have you ever had a campaign thwarted by a terrible resizing? Share your thoughts and questions in the comments below!